Since math is not your favorite subject and now you are looking for a guide that shows you the best programs to solve equations for use on your computer? In this article we will tell you what we think are the best solutions available at the moment in the square. If you have a computer equipped with Windows, then we recommend using one of the most popular programs in this area: Microsoft Mathematics. As can easily be guessed from the denomination, we are faced with a completely free software developed by the Redmond giant that allows you to perform different operations in a really simple and fast way. We decided to list it in this guide as it presents a function that allows you to solve equations by following some very intuitive steps. Before discovering the steps to be followed specifically, it is necessary to check that .NET Framework 3.5 SP1 is installed on your computer. If not, proceed with the installation by connecting to the dedicated page and pressing the Download button. Open the default browser on your computer (ie. Chrome, Firefox, Safari or Edge), connect to the download page of Microsoft Mathematics and press the red button Download to proceed with the download. Once the installation is complete, start the software, insert the equation in the text field at the bottom using the keyboard or the buttons located in the toolbar and press the Enter button for development. The result will appear in the section located at the top. If you want to save the equation, just click on the File menu at the top left, choose Save and select the save path and type in the name you want to assign to the file. Among the best programs to solve equations to use we have decided to also select Daum Equation Editor. It is a completely free software available for Macs that allows you to solve mathematical expressions in a very simple way. Proceed with the download of the program from the Mac App Store and start it once installed through the Launchpad is completed. Through the main screen, enter the math expression you want to solve using the keyboard and the buttons located in the top toolbar. To see a preview of the equation, press the Preview button at the bottom. Instead, if you want to copy the image to the clipboard, press Copy Image while clicking on the Save button at the bottom right to save the equation in the form of an image or text file. If you do not want to install any program on your computer, we suggest using a powerful and above all famous website called Wolfram | Alpha. We are facing a real search engine, able to provide immediate answers to the questions entered in the specific search field. In addition, the online service has several mathematical features that also allow you to solve equations of any kind. Also available a paid version that allows access to many other functions at the starting cost of 5.49 dollars per month. For example, you can solve expressions by uploading a photo. Open the default browser on your PC, connect to the official website of Wolfram | Alpha and enter the equation of your interest in the search field at the top. After pressing the = button on the right, the website will show you the result of the expression on a new page. 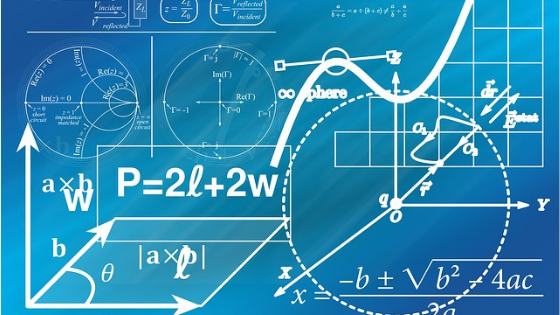 In addition to the solutions listed above, there are many other free Internet programs and portals on the market that allow you to solve equations in a very simple way. Find the complete list below.